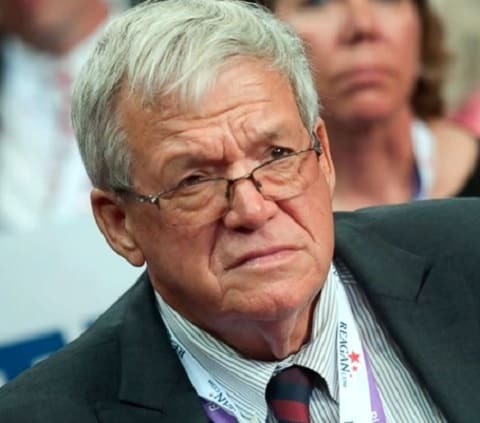 Former GOP House Speaker Dennis J. Hastert has been accused of sexual abuse against four men when he was a wrestling coach at Yorkville High School in Illinois. Last year, the sister of Steve Reinboldt, who died in 1995, said that her brother had been sexually abused by Hastert. In a Chicago Tribune report yesterday, it is alleged that three more people have now made separate allegations against Hastert. The report identifies three of the men – including Reinboldt – all of them linked to the wrestling team Hastert coached. One of his alleged victims is said to be considering speaking at the sentencing hearing. Watch a Young Turks discussion of the case below.